Australia’s retail investment market hit a new high in 2015 – reaching $8.4 billion of investment activity, representing a fourth consecutive record year, broad-based activity across all retail sub-sectors, with sub-regional shopping centres being the standout performer. Australian Shopping Centre Investment Review & Outlook report shows demand for retail assets was led by offshore investors, who purchased the highest level of retail assets in Australia on record. Offshore investors are expected to lead the buying demand again in 2016. 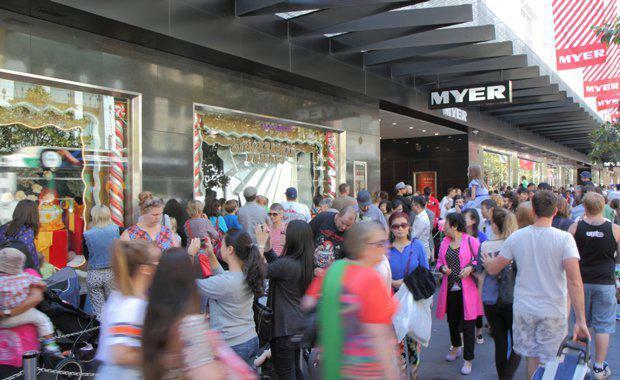 JLL’s Head of Retail Investments – Australasia, Simon Rooney said, “2015 was another record year for the retail investment market and yields reached new benchmarks for core assets. Owners were cognisant of the significant volume of primarily-offshore capital that is seeking transaction scale in highly transparent and low-volatility markets, while also taking advantage of the weaker AUD and historically low debt costs. “We expect transaction activity to remain elevated in 2016 as a result of pent-up demand for assets, primarily from passive sources of capital, and vendors that are motivated to sell non-core assets and mature, stable assets that have limited opportunity to add value. “The record level of offshore investment in 2015 at $2.4 billion is a clear indication that Australian retail property remains attractive in a global context due to the stability of returns and transaction scale,” said Mr Rooney. • Record transaction volumes: A fourth consecutive record year in Australia, with $8.4 billion of retail transaction activity. An unprecedented level that was above $8 billion for the first time. National 2015 transaction levels were 12.6% higher than 2014 levels, when $7.5 billion of transactions were recorded. • Pricing: Yields reached record lows for major core assets as investors competitively pursued properties with sold income growth outlooks. • Key buyers in 2015: Offshore investors were the largest net buyer category in 2015, acquiring $2.4 billion worth of retail assets in 2015, more than twice the value of assets recorded in 2014. Unlisted funds also continue to lead the demand for assets, acquiring $1.9 billion in 2015. The largest buyer groups in 2015 were offshore investors (28%), closely followed by: unlisted funds (23%), private investors (17%), A-REITs (11%) and superannuation funds (9%). • Product: Investment activity was once again largely concentrated in the sub-regional (33%) and neighbourhood (22%) sub-sectors in 2015 – a trend that has continued from the previous two years. Sub-regional centres remain the most active retail sub-sector by a significant margin. Approximately one in three sub-regional centres in Australia has traded in the last three years (2013-2015). The remaining sub-sectors each accounted for an equal share of activity, comprising; other (15%), bulky goods (15%) and CBD shopping centres (14%). Mr Rooney said investment conditions in 2016 will be ideal for another year of elevated trading of retail assets. “Investors continue to exhibit a high capacity and willingness to engage in major retail acquisitions, while at the same time re-engineering their portfolios with tactical asset disposals. “Demand will again be led by offshore investors and wholesale funds seeking scale and low volatility. “As we move into the next phase of the investment cycle, yield compression will no longer be the major driver of returns in 2016 and investors are likely to focus on assets that can deliver the highest potential for income growth in order to drive capital values and returns,” said Mr Rooney. • Above-trend transaction volumes to continue: Various capital sources continue to seek acquisitions and owners remain motivated to dispose of assets to refine their portfolios. • Yields likely to reach a low point in 2016: JLL expects yields for core assets to reach their low point for the current cycle in 2016. • Greater investor focus on retail asset fundamentals and income growth: Yield compression has provided a significant tailwind to returns over the last few years. Some investors are likely to target assets with high retail turnover and rental income growth potential. • Offshore investors to lead transactions: A number of major global investors continue to build their Australian property exposure. Major offshore groups are likely to drive acquisitions in 2016 as they continue to target a wide range of individual assets and portfolios. • Stable market fundamentals to support investor demand: The drivers of retail turnover growth suggest growth will remain relatively healthy in 2016. The stable market fundamentals of retail assets in comparison with other property sectors will continue to attract investors. Elevated volatility in financial markets and other asset classes will highlight the stability of direct retail property returns. JLL’s Retail Research Director, Andrew Quillfeldt said, “We continue to see a wide divergence in the underlying performance of individual shopping centres, and that is one of the key factors driving the elevated level of asset trading. “This divergence in asset performance is being factored into pricing and is reflected in the wider-than-average yield range. Yields for core assets have tightened significantly, but the spread to non-core assets remains healthy. The yield range is wider than the long-term average in a number of retail sub-sectors, suggesting there is an element of prudent caution towards secondary assets. “For the overall retail sector, the fundamental drivers of retail spending imply positive market conditions in 2016. Retail spending continues to be stimulated by low interest rates. Strong growth in house prices in Sydney and Melbourne has boosted household wealth and confidence, and solid residential construction activity has also been driving strong growth in household goods spending. “A further depreciation of the AUD has been a positive for CBD retail markets in particular, because of the subsequent increase in inbound tourism. The currency depreciation is also a positive for the wider retail market due to the marked slowdown in outbound overseas travel. “While certain tenant specific challenges will exist in the leasing market, we expect that overall leasing market conditions will remain generally unchanged from 2015. The acceleration in retail spending growth will slowly flow through to occupancy rates and rental growth in 2016. “Owners are likely to remain focussed on their development pipelines in 2016, particularly regional shopping centres in solid catchments. Despite the high level of development activity occurring, the retail market is unlikely to be oversupplied over the 2016-2018 period on a national basis, partly because there is a high level of refurbishment of existing space occurring. “On balance, the fundamentals for the overall retail market remain relatively sound and continue to be in a slow and gradual recovery,” said Mr Quillfeldt.